The climatic conditions during winter are completely different from that in summer. The cold and harsh weather will leave your skin dry, chapped and cracked. Our skin gets dry because of the heated air indoors and the cold weather outside. 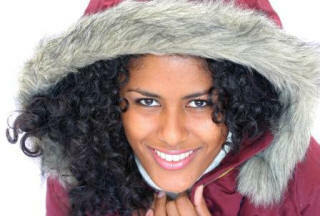 So we have to take care of our skin and adopt some healthy tips to save your skin from the harsh winter. Here are some tips which will surely help you to keep your skin flaw less, soft and healthy this winter. 1. The first and most important thing is to eat health and drink loads of water and keep your body hydrated. Once you are healthy it will surely show it on your face. So eat lots of fruit and healthy food. 2. Exercise regularly which will warm you up and it will also keep your muscle limber. Exercise will increase the blood circulation and it will bring a glow to your face. It will also help to boost your immune system, which will help you fight off nasty cold and other disease. 3. Apply a good moisturizer which is suitable to your skin type. Carry your moisturizer wherever you go and keep moisturizing your skin. Don’t let it dry. Also, use a quality lip treatment to prevent chapping. 4. Use a good sunscreen. Don’t avoid sunscreen just because its winter.